A decision was handed down today in the Supreme Court of Judge Adolph Lucas in a trial of judge without jury in which a San Pedro man was found not guilty of murder but guilty of manslaughter. Jason Reyes was accused of the fatal stabbing of Lionel Pinelo on November fifth, 2010 in front of Rainbow Star Bar on San Pedro. 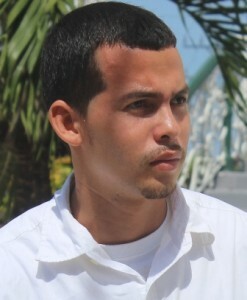 In making his decision, Judge Lucas said that after considering all the evidence presented to him, he had concluded that Reyes did not intend to murder Pinelo so he found him guilty of manslaughter. Judge Lucas in a one hour session went through the evidence of both sides. A number of witnesses were called including Reyes who maintained he was not at the bar when the stabbing took place and that in fact he was at home. Critical was the evidence of Milton Chan who admitted he had consumed eighteen beers before the stabbing and did not exactly know if Pinelo had been stabbed and with what. Sentencing has been deferred until November second. Finally a conviction in a judge alone trial. Time to go back to the old jury system.